You have a choice of cruises from the harbour in Tenby (subject to availability between April and October). Boats depart from Tenby Harbour and head out around the bird reserve of St Margaret's Island. Here you will be able to view the many resident and sea birds that visit the island. This is followed by a short voyage to Caldey Island to view its hidden bays and Seal colony at the base of its magnificent cliffs. This boat trip is an excellent way to view the Pembrokeshire Coast and its outstanding wildlife. Or take the Seal watching trip, the booking office is in Castle Square at the top of the harbour, and boats will leave from either the harbour or the castle beach depending on the tides. The park is a twenty minute drive from Wood Cottage, its legendry rides are very exciting, here is an extract from their website which is self explanatory. We want your day out at Oakwood to be fun fun fun from start to finish! So here’s how we make sure it’s as hassle free as it can possibly be. We’re easy to find by car, with Oakwood clearly signposted on brown tourist information signs from Junction 49 of the M4 and throughout Pembrokeshire. You can find us off the A40 at Canaston Bridge, 8 miles East of Haverfordwest. With 30 rides and attractions to choose from, there’s something everyone’ll love at Oakwood, from babies and toddlers to teens to mum and dad or gran and grandad. Tenby is a town steeped in ancient history surrounded by an imposing stone wall, built in the 13th century. Through the passages of time Tenby has seen many changes. The earliest reference to a settlement at Tenby is in Etmic Dinbych, a poem probably of ninth-century date, preserved in the fourteenth century Book of Taliesin. At this point the settlement was likely a hill fort, the mercantile nature of the settlement possibly developing under Hiberno-Norse influence. The town grew as a seaport around the now-ruined Tenby Castle. The town was attacked by Welsh forces in 1187 and again in 1260 by Llewelyn the Great. The town walls were built by William de Valence, 1st Earl of Pembroke, in the late 13th century. In late medieval times, Tenby's importance grew as a sheltered seaport and in 1566 Portuguese seamen landed the first oranges to be brought to Wales at Tenby harbour. Get up close to an amazing variety of exotic creatures in Folly Farm’s spectacular zoo! Now home to over 200 exotic animals, Folly Farm’s zoo is rapidly expanding. Many of the animals are extremely rare, and we take part in European breeding programmes to help protect them from extinction. Take a look at our animal gallery. There is a fantastic new education package for school visits to the zoo, which is also available to families on request. During a visit to the zoo you can watch feeding demonstrations by our friendly zoo keepers, who will tell you all about the animals during feeding time, and answer any questions you might have. The Jolly Farm is perhaps Folly Farm's most well-known and popular attraction, where visitors meet our huge variety of friendly farm animals and their babies, including horses, donkeys, sheep, goats, pigs, Shetland ponies, hens, and much more, including many rare breeds! Visitors can even enjoy a close encounter with our baby animals during Folly Farm's long-established and ever popular bottle-feeding show. Come and feed an adorable goat kid whilst being entertained by the Folly Farmers and park characters! Nearby you'll find our Pet Centre, where you’ll find many weird and wonderful pets. During our daily pet handling sessions with the Folly Farmers, you can even hold one! The pet centre is home to rabbits, guinea pigs, hamsters, gerbils, mice and rats as well as some more unusual pets including iguanas, geckos, chipmunks, chinchillas, tortoises, fish, ducklings, Mexican axolotls, love birds, exotic insects and more! Tour the farm on our wonderful land train, and if you wish, alight at the educational nature trail and enjoy your scenic surroundings! 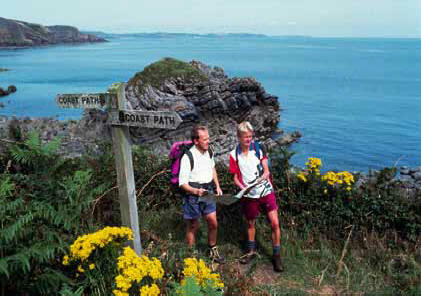 Pembrokeshire Coast Path, which winds its way for 186 miles past all the coves, beaches and cliffs of the Pembrokeshire National Park. This is Britain's only truly coastal National Park. It's a spectacular landscape of rugged cliffs, sandy beaches, wooded estuaries and wild inland hills, and a place of sanctuary for wildlife. People belong here, too. They have shaped the landscape over the centuries, leaving their mark in tombs and castles, crosses and cottages, quarries and quays. Today this is a living, working landscape where people and nature co-exist. 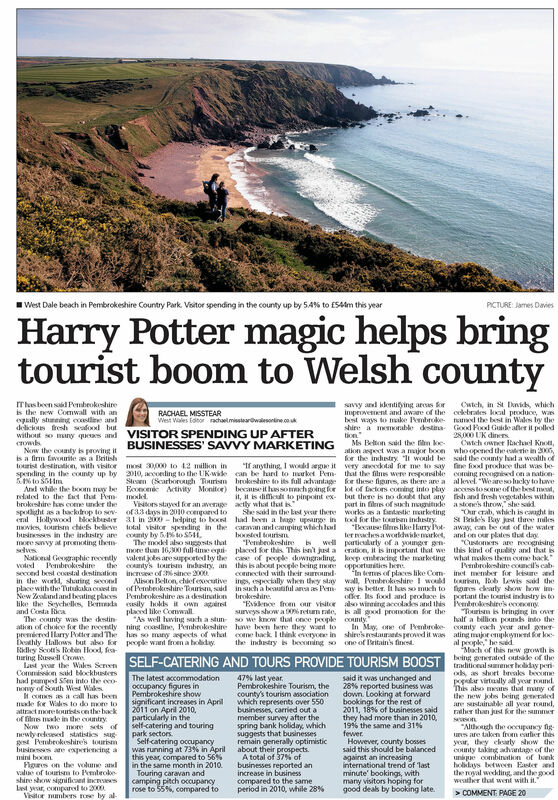 The National Park Authority looks after it, helps the public to enjoy and understand it, and works with local communities towards a sustainable future. Link http://nt.pcnpa.org.uk/website/sitefiles/nt_page.asp?PageID=6&SubPageID=22 There are many similar walks found on search engines. 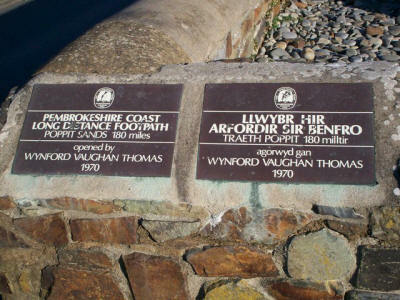 Laugharne, which lies on the estuary of the river in Carmarthenshire, was once home to Wales’ most famous Anglo-Welsh poet; Dylan Thomas, and is the apparent inspiration for his play for voices; Under Milk Wood. The literary pilgrim can fulfill his journey with ease here. 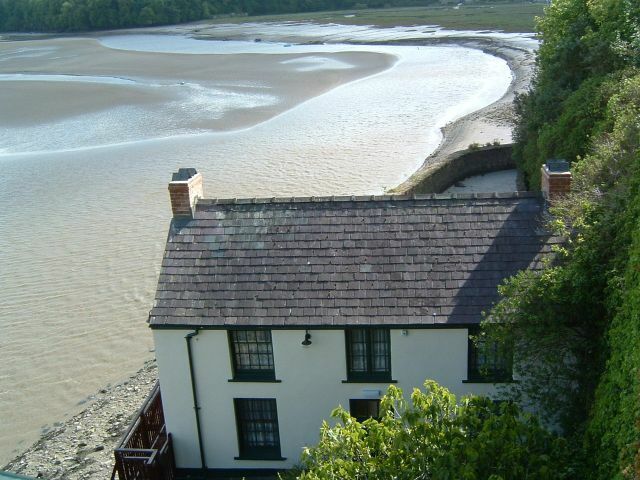 The Boat House – Thomas’ home from 1949-53 is now a heritage centre complete with original furnishings and memorabilia; while the nearby writing shed where he penned many of his later poems including Under Milk Wood. If you enjoy being pampered, just up the road in Red Roses is Waterwynch Spa and Retreat, a beautiful farm where the outbuildings have been converted into beauty therapy suits with many treatments available, There is also an indoor pool, outdoor hot tub, sauna and steam room, all in rural picturesque countryside. Very nice! Post code for Satnav is SA34 0PL. Colby Lodge is a ten minute walk up the road from Wood Cottage and well worth the visit. It has tea rooms, art gallery and a National Trust shop. Concentrating exclusively on Watercolour, Graham Hadlow has lived and worked in Pembrokeshire since 1970 finding Wales a rich source of inspiration for his paintings. The Pembrokeshire coastline is home to a wide variety of seabirds. Guillemots and razorbills nest on rocky ledges on the high sea cliffs from March to July. Cormorants and shags, prolific fish-feeders due to their ability to swim underwater, and the oystercatcher are often seen on the lower cliff slopes of the coast. Kittiwakes and Fulmars, with their dramatic straight wings, also nest on grassy cliff ledges and along the shore Rock Pippits flit among the rocks. The rare Chough nests in holes and crevices on the cliff and feeds on insects on the grassy cliff-tops. Ravens can often be seen from the coast path, and often you'll hear Skylarks with their beautiful song! There are two birds that may only occasionally be seen on this stretch of coast, but are hugely important in the National Park area and if you're lucky you may get a sighting of them during your adventures. The first is the impressive White Gannet with its huge wingspan, of which there are 30,000 breeding pairs on Grassholm Island, 15 miles off the coast. Gannets can often be seen passing by on summer evenings as they return to their colony after a day out fishing. The second bird is the colourful Puffin, again a brilliant underwater swimmer, which burrows on Skomer Island and the rocky islet of North Bishop. Birds of prey haunt the cliff tops too, with Peregrine Falcons diving at incredible speeds upon their prey. Buzzards are seen up high, often bombarded by Crows, and Kestrels and Sparrow-Hawks hover low over the grassy slopes and inland hedges.